Description: Hard to find model; Stevens Gallery No. 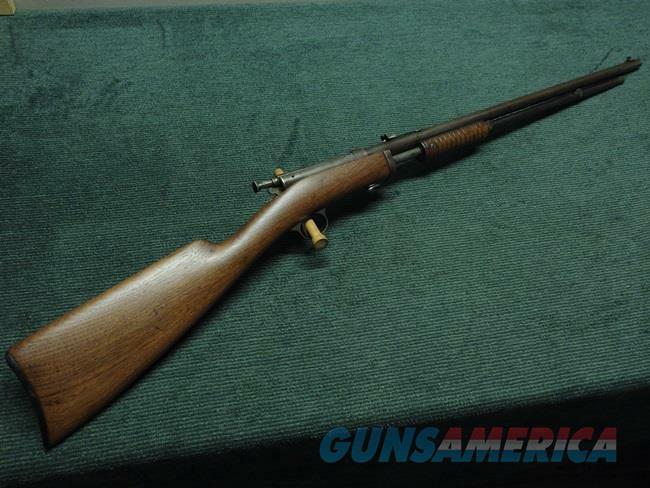 80, 25-Stevens caliber; pump action rifle; made between 1906 and 1910; 24-inch barrel; bore shows scattered roughness but rifling still there; metal finishes are worn but metal is smooth with no pitting; stock has cracks on left front; excellent original buttplate. C&R okay. VISA/MC/DISCOVER/AMEX(add 3%); money orders, checks; $35shp.